From 2014: Thanks to all who came to our extra-special New Year’s Eve show at the Rubicon! You made it special. 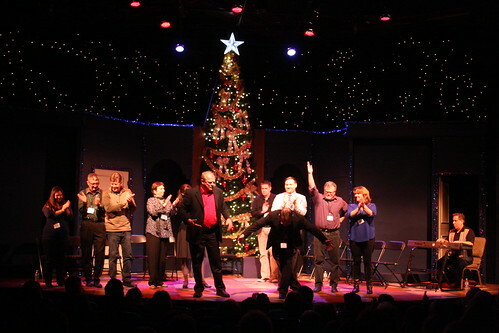 Relive the fun of our New Year’s Eve show at the VIC! Photos taken by our own Julie D — many thanks to her for these beautiful shots! Thanks so much to the following organizations and individuals to their New Year’s Eve donations, sponsorships, and year-end giving! Please contact us if we have missed your name.